Havas Media contacted us regarding a quote for their client, Powerade, as they were a sponsor in the 2012 London Olympics. Powerade required a wide selection of garments for the event. They included; black and white polo shirts, T-Shirts, rain jackets, hoodies, shorts, tracksuit bottoms, and leggings printed with the Powerade Sports academy logo. 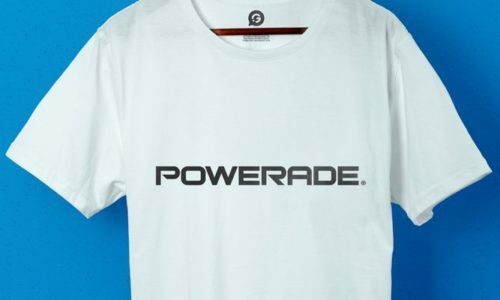 In addition, to maximise their association to the Olympic event, the garments sported the slogan, ‘Powerade – Hydrating the 2012 Olympic Athletes’. The workwear was for staff members, coaches, and Olympic athletes. Havas provided their own Adidas branded sportswear. Garment Printing needed to assess the fabric and access the most suitable form of printing onto the garments for the event. It was decided that the best option for several thousand garments was to employ screen printing. Garment Printing arrived at this conclusion as there were few colours in the design. Havas stipulated that there were various printing positions, such as front, back, right and left breast as well as the collar. “Printing on collars with screen printing does not always result in high quality prints, which is why we opted for transfer printing for this particular printing position,” explained Director Gavin Drake. Athletes such as Ian Thorpe, Brent Hayden, Mitchell Watt, and Sergei Bubka participated in the Sports Academy and wore the garments. The events were also held at the Olympic Park, Chelsea FC, and various locations around London. Everyone looked great in their printed workwear.